Messerle earned her master’s degree in library science from the University of Illinois in 1967. Her first position as the librarian for a small school of nursing at St. Joseph Hospital in Alton, Illinois, combined her original interest in medicine with her student experience in libraries. While at St. Joseph (1967-1985), her responsibilities expanded to include first the medical staff library and then hospital administrative areas such as education, public relations, and data processing. I have these people, nuns who were my bosses at various points in time at St. Joe’s, without whom I wouldn’t know a thing about public relations or concrete slump… [T]here is really a long list of Daughters of Charity and Sisters of St. Francis who believed I could do anything and made me believe I could do anything. She served as the hospital liaison for the planning and construction of a large physician office building. 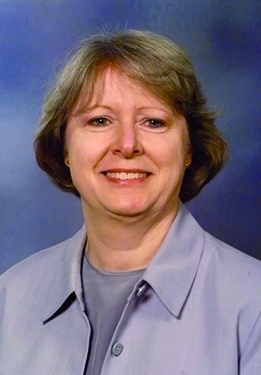 She organized a successful consortium of hospital libraries in southwestern Illinois and secured grant funding from the National Library of Medicine, which led to her involvement in the Medical Library Association. I was pleasantly surprised at the kind of recognition that [my first NLM grant] gave me for my own administration and the CEOs of these other twelve hospitals. It was really a way to raise visibility. It dawned on me at that time that if a library could bring in money, it really raised the status of the hospital librarian. Any grant that you could bring in was considered a coup, and people thought more highly of you as a person who was able to create a proposal and actually get funded. She taught a CE course on consortium development and was the president of the Hospital Library Section as it became a section. I put out the first newsletter for the Hospital Library Section. Poor little mimeographed two-pager that I personally cranked out on the mimeograph machine and sent personally, labeled and sent to the members of the section. So, right away, I knew a whole lot of people, hospital librarians. I knew them kind of instantly. It was great to have hospital librarian colleagues. It was absolutely wonderful. She also represented the Midwest region at a seminal 1978 meeting of hospital librarians at the National Library of Medicine that led to the adoption of changes in NLM services affecting hospital libraries and enhanced communication. She was president of the St. Louis Medical Librarians and was elected to the MLA Board of Directors. After eighteen years, Messerle realized she wanted to move from hospital administration, for which she lacked academic credentials, to focus on libraries. 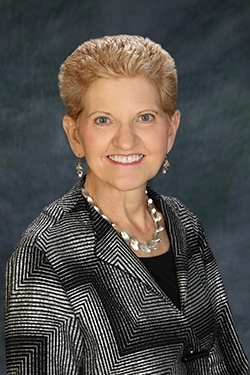 She transitioned from hospital to academic libraries and became director of the St. Louis University Medical Center Library (1985-1989), where she instituted strategic planning and a library committee and built a cohesive staff. During this period, she also served as president of MLA. 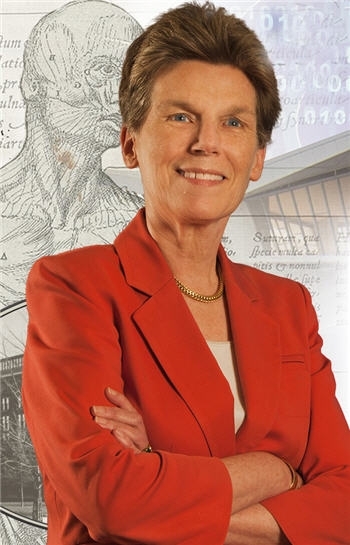 In 1989, she was recruited to be librarian for the Countway Library (1989-2004), which jointly serves the Harvard Medical School and Boston Medical Library, as well as other Harvard health professional schools, affiliated hospitals, and the Massachusetts Medical Society. She addressed collection and staffing issues arising from the complex organizational structure of the library. [L]et’s start first with the power scenario. If you think about the hospital being very top-down, and St. Louis U being more the shared power between administration and faculty, Harvard was the extreme of that…There was not only that kind of real shared authority between administration and faculty, the Countway Library itself was created by the merger of two major libraries, the Harvard Medical School Library and the Boston Medical Library, and there was another power differential… [W]e had a very large clientele and a lot of people who thought that they were my boss… Twenty-seven people thought they were my boss. So, going from a single head to all these people who had authority and power, and trying to think about how to bring these folks together, was a huge challenge. She led fundraising efforts for a major facility renovation. She improved service and computerization in the library, and, among other accomplishments, she brought medical school records management and an anatomical museum under the leadership of the library. During her MLA presidency (1986/87), Messerle focused on the strategic planning process, leading to Shaping the Future, a blueprint for the future direction of the association. She chaired the MLA/NLM Liaison Committee and the Joint MLA/AAHSL Legislative Task Force, and she served on the Knowledge and Skills Task Force. “I think one of the things about me is that I get excited about ideas, and I love challenging debate and thinking about things in new ways.” She was associate editor for the text Hospital Library Management, which was awarded the Ida and George Eliot Prize in 1984. She was included in the centennial “100 Most Notables,” named a Fellow in 1999, and received the highest professional distinction, the Marcia C. Noyes Award, in 2005. She gave the Janet Doe Lecture, “The Road Not Taken,” in 2000. She also served as president of AAHSL (1992/93) and on a number of National Library of Medicine advisory committees. [P]art of my worry about the future of the profession is really how we can continue to be valuable to the communities that we serve. In the old days, I think we were absolutely the keys to the kingdom. If you wanted to get into the literature, you almost had to know a librarian who knew where to look for what. And in the day of Google, people have access to information like they never had access to information. I read someplace that everybody in this country will one day be a knowledge worker, responsible for managing knowledge in one way or another… So, where does that put medical librarians for tomorrow?… My crystal ball is not clear as to where we are going in the future, but I do believe that the librarian of tomorrow is going to have to know a lot more about basic science and genetics and a whole new vocabulary and a whole new way of accessing knowledge resources. And I suspect a whole new way of managing things that heretofore have not been managed.